O’Donnell Law Offices is pleased to announce that Attorney Catherine R. O’Donnell has been selected, once again, as a Pennsylvania Super Lawyer for 2016. I am privileged to be recognized for such an honor by my peers practicing law in the Commonwealth of Pennsylvania. O’Donnell Law Offices is pleased to announce that Attorney Catherine R. O’Donnell has been selected, once again, as a Pennsylvania Super Lawyer for 2016. This marks the sixth time Catherine has been selected for this recognition. Each year, only 5 percent of the Pennsylvania Bar receives this distinguished honor. Super Lawyers, a Thomson Reuters business, is a rating service of outstanding lawyers from more than 70 practice areas who have attained a high degree of peer recognition and professional achievement. The Super Lawyers selection process is multistage and includes peer nominations by attorneys and peer evaluations by practice area. Lawyers may not self-nominate or pay to be included on the Super Lawyers listing. For more information on Super Lawyers, visit http://www.superlawyers.com. In addition to being named a Pennsylvania Super Lawyer for 2016, Catherine has been consistently recognized by attaining Martindale-Hubbell’s AV Preeminent Rating of Preeminent Lawyers from 2000 – 2016. 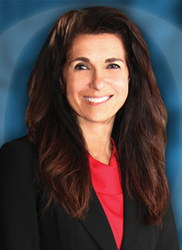 She was recognized as a 2015 ALM Top Rated Estate and Trust Lawyer. She also received the 2015 Wilkes-Barre Law & Library President’s Award.